This sensuous design symbolizes the line of connection between 2 people. 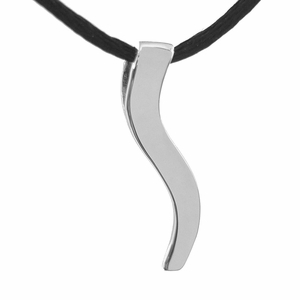 The 1" long Ogee pendant is crafted in solid Platinum. It is beautifully set off against a simple black satin chain. The Ogee is an original design, copyrighted by Richard W. Berman. This unique necklace comes packaged in a dramatic, black box.